Growing up, I read a lot! As such, I put authors on a pedestal. I loved writing, but never gave serious thought to becoming a writer — clearly, real writers were VERY special people and becoming one was akin to becoming an astronaut, supermodel, or starting quarterback in the NFL. The idea of looking in the classifieds and finding an ad that said “book writers for hire” wasn’t a possibility. Fast-forward 20 years. I had a degree in a practical subject and a long stint of slinging coffee for Starbucks behind me before I discovered that anyone with a bit of skill (including me) could be a writer online by blogging and content writing. Books however, were still sacred. I could never write a book—or could I? Actually, I’ve written around 20 e-books—all ghostwritten or written under an alias. The last book I wrote took me all of two hours to write from start to finish. No, I’m not “The Flash” of the writing world; most of the books that I’ve worked on have been what I call micro-ebooks. A typical novel will normally be 60,000 to 100,000 words, with some of the larger thrillers and genre novels being much longer. As e-books became a viable business model, the rise in popularity of books in the 20,000-word range opened the door for authors to publish books about topics that didn’t require a full 60,000 word treatment. Sometimes even 20,000 words are too many. 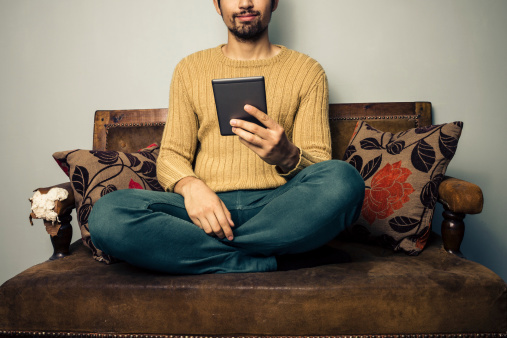 As a writer, I’ve seen a surge in requests from my clients to write books that are in the 2,000 to 10,000 word range—books I’ve dubbed micro-ebooks. Why Not Just Publish an Article? What makes a micro-ebook different from a long article? Not a whole lot. In many cases, my clients simply want to take advantage of the eBook format to draw in customers. Publishing an “e-book” will encourage the visitor, potential client, or customer to download the information. This allows the organization to collect an email address or other information from the customer to unlock the download. In addition, by creating an eBook instead of an article, you are implying value in regards to the content within. Whether you are looking for a new content marketing method for your small business, or you are a writer expanding his or her portfolio, give a second look to e-books. In today’s new publishing world, you might be able to write a book in less time than it takes to finish that pot of coffee! Tracy S loves writing, spending time with friends, fuzzy socks, her family, Pokemon, her four cats, good coffee, her husband, playing pool, her daughter, traveling, her awesome clients at WriterAccess, and melted cheese–in no particular order.